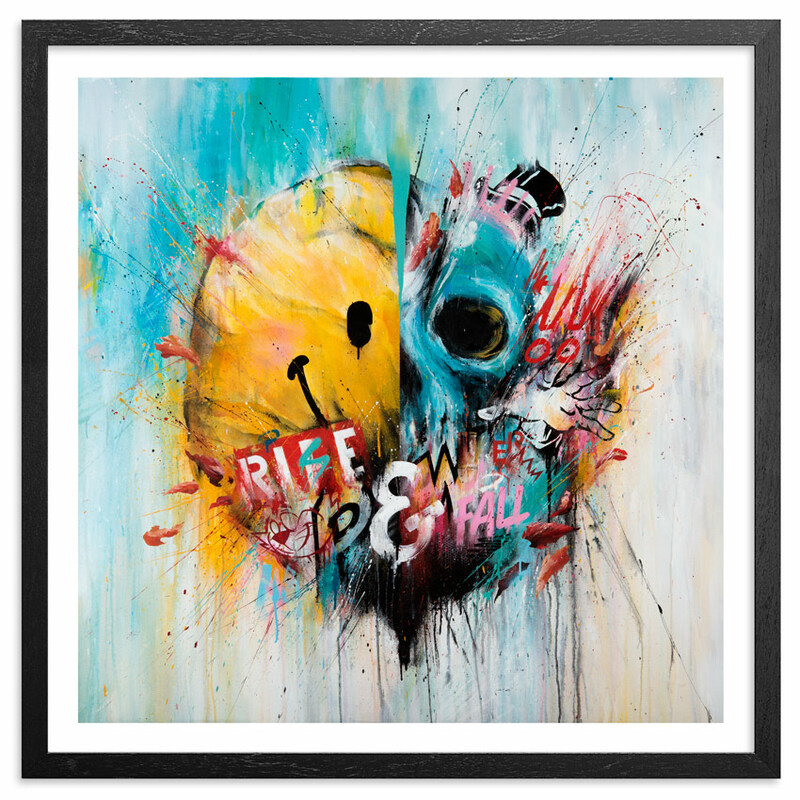 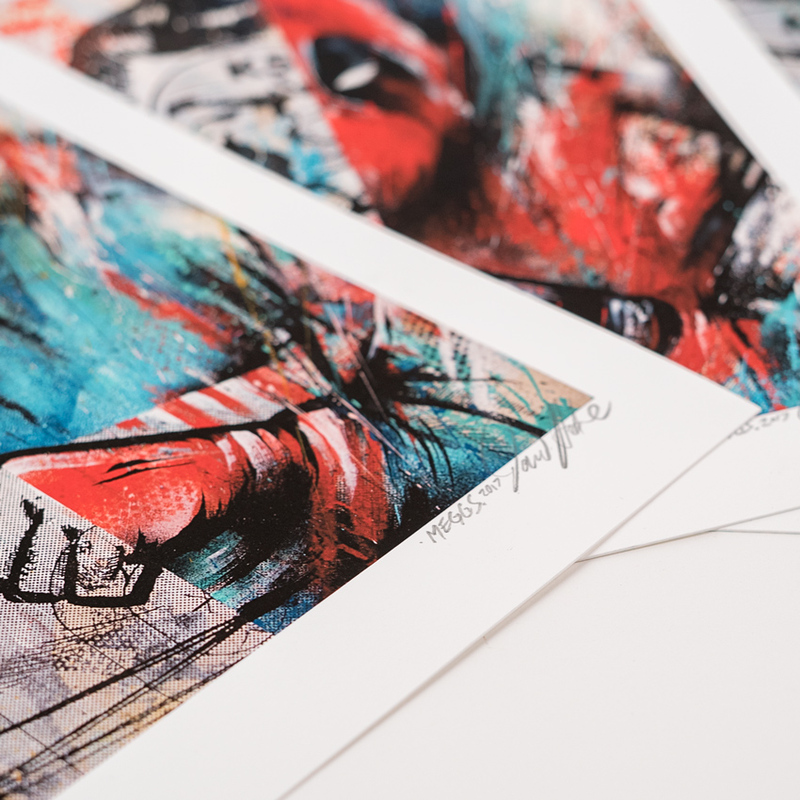 This RUN comes signed, numbered and with a Certificate of Authenticity from Meggs and 1xRUN. 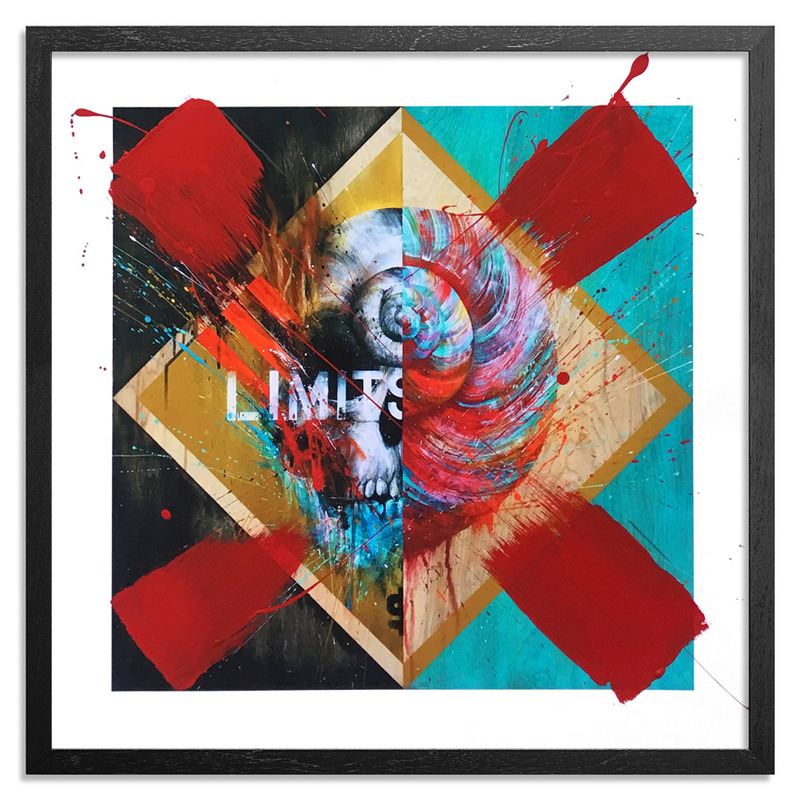 The framing option for this RUN includes four 1 Inch black wood frames (one frame per print) with UV-glass, foam core backing and ready to hang hardware. 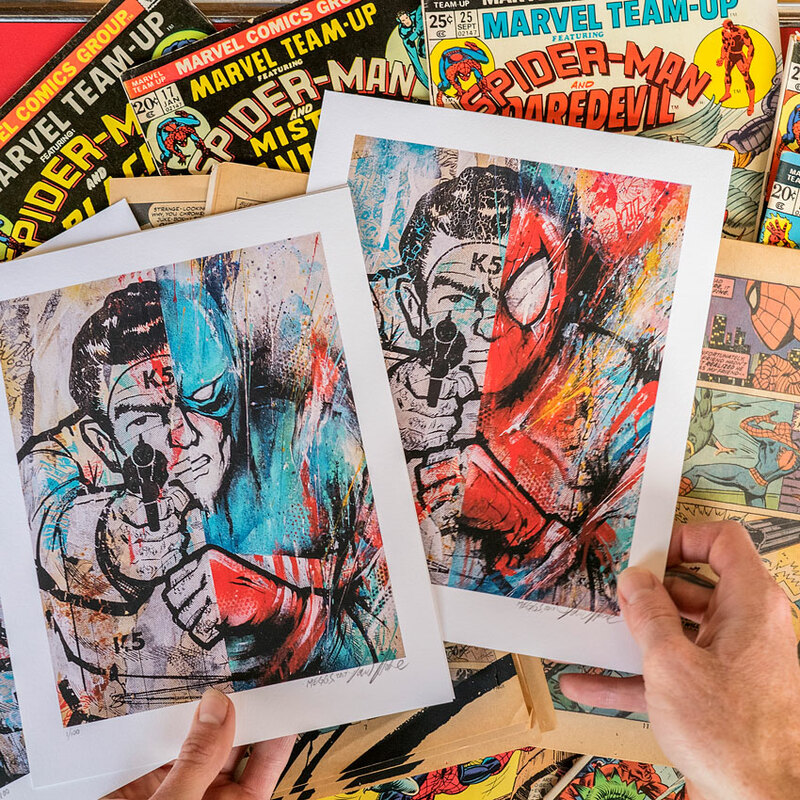 'Arch Enemies' presents a nostalgic ‘rogues gallery' of four Marvel comic heroes: Captain America, Deadpool, Ironman, and Spiderman juxtaposed against a vintage 1960’s NYC police target. 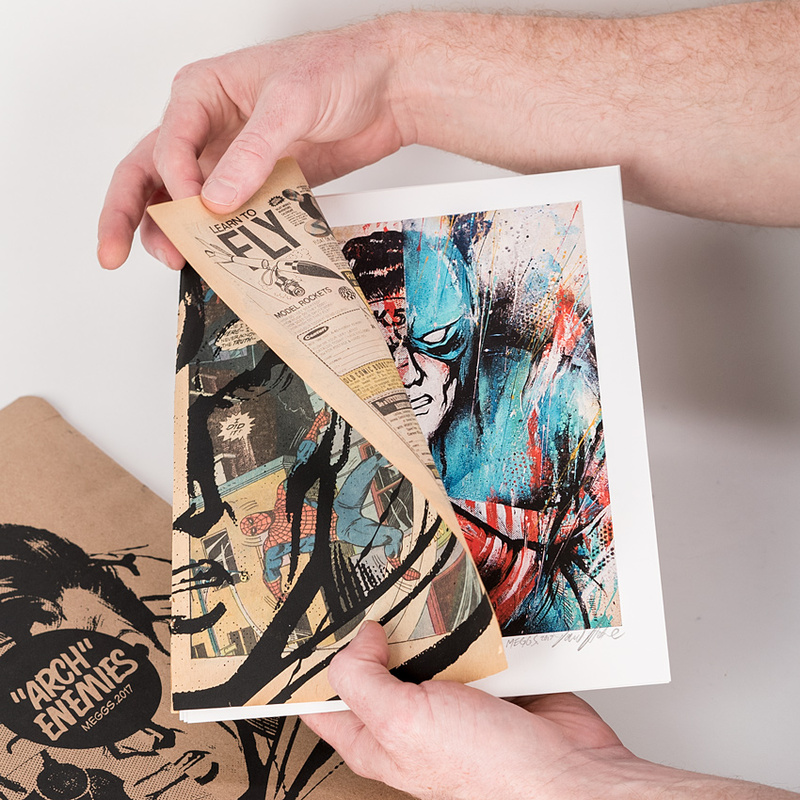 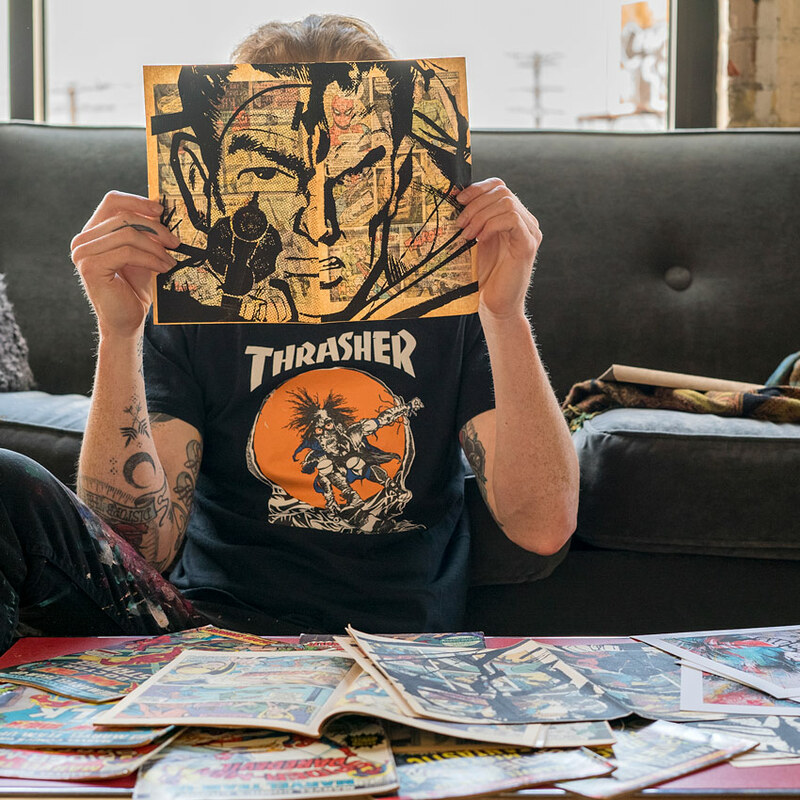 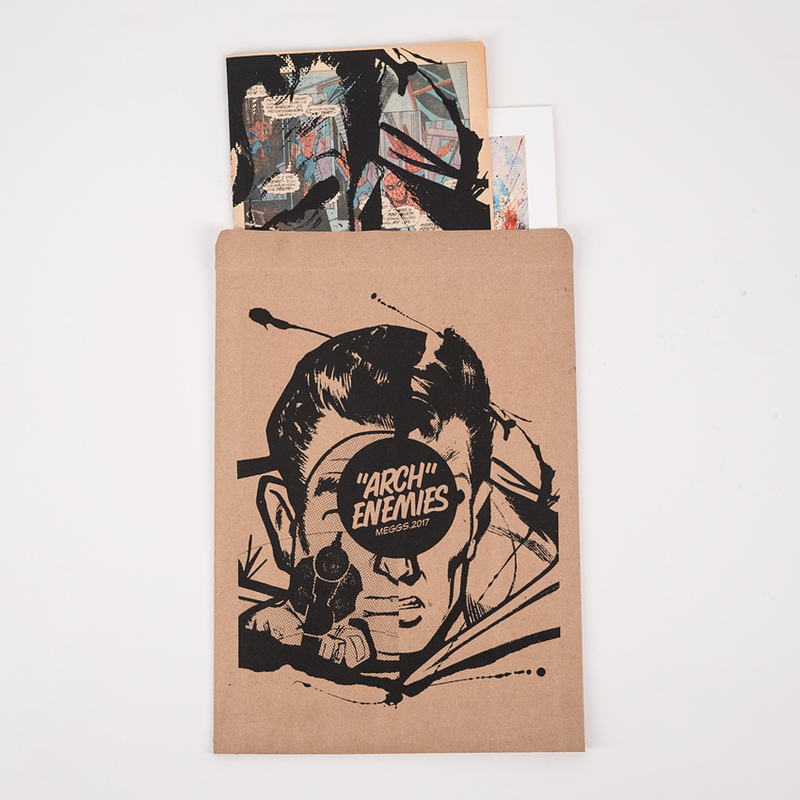 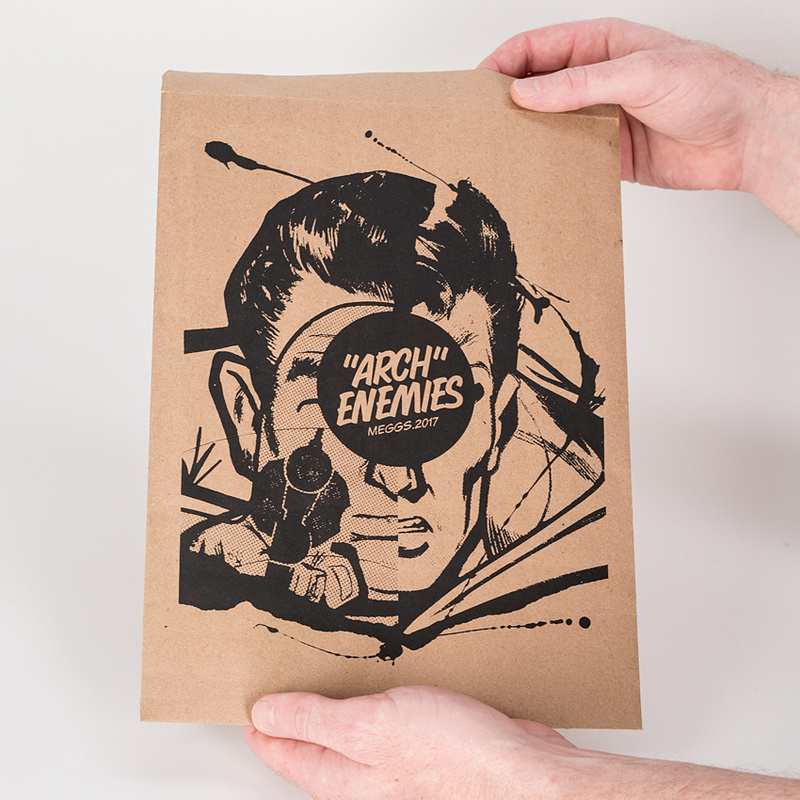 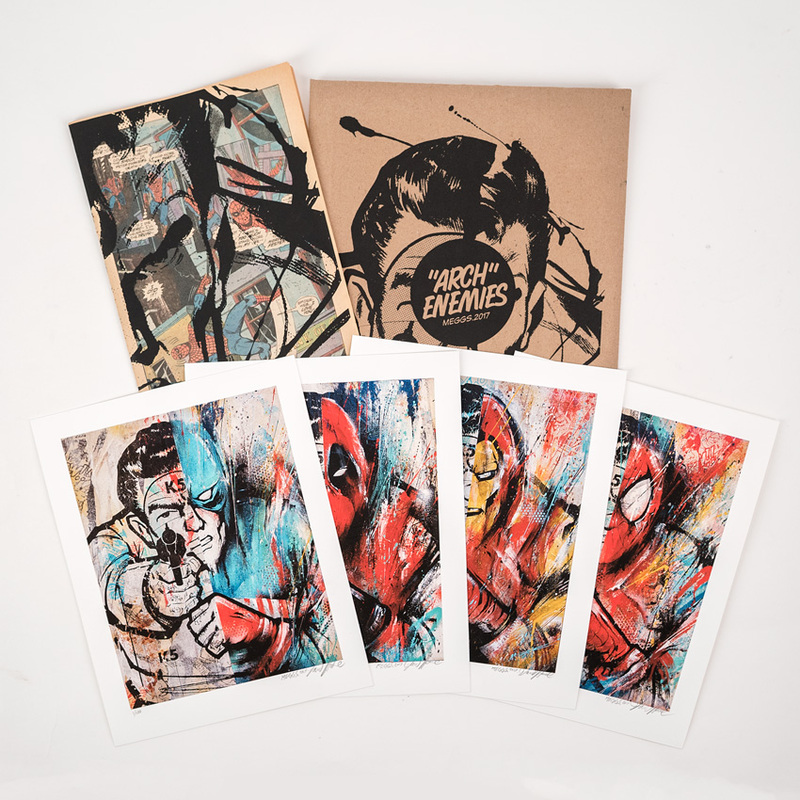 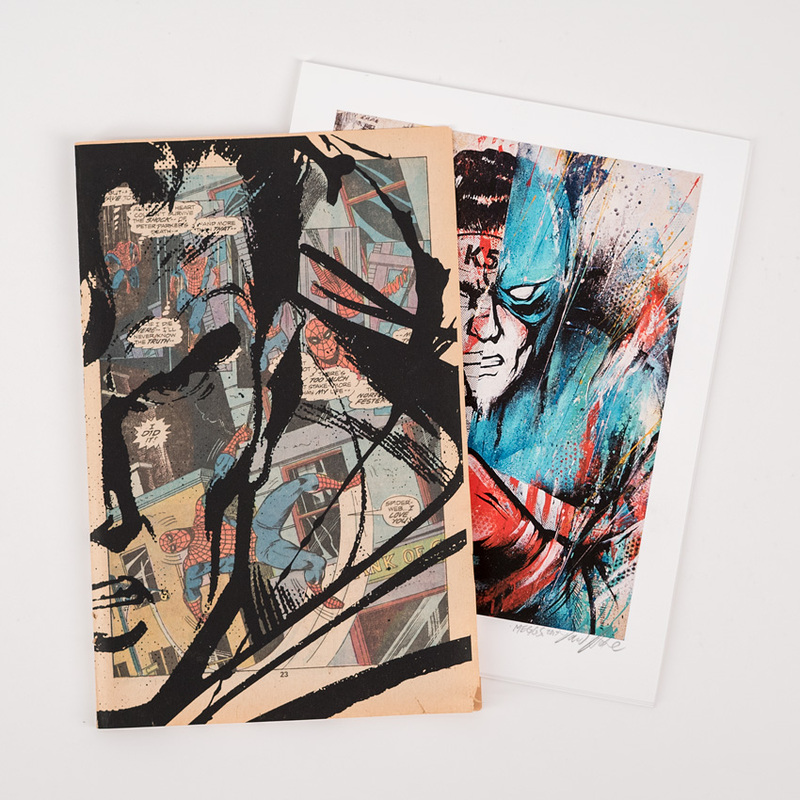 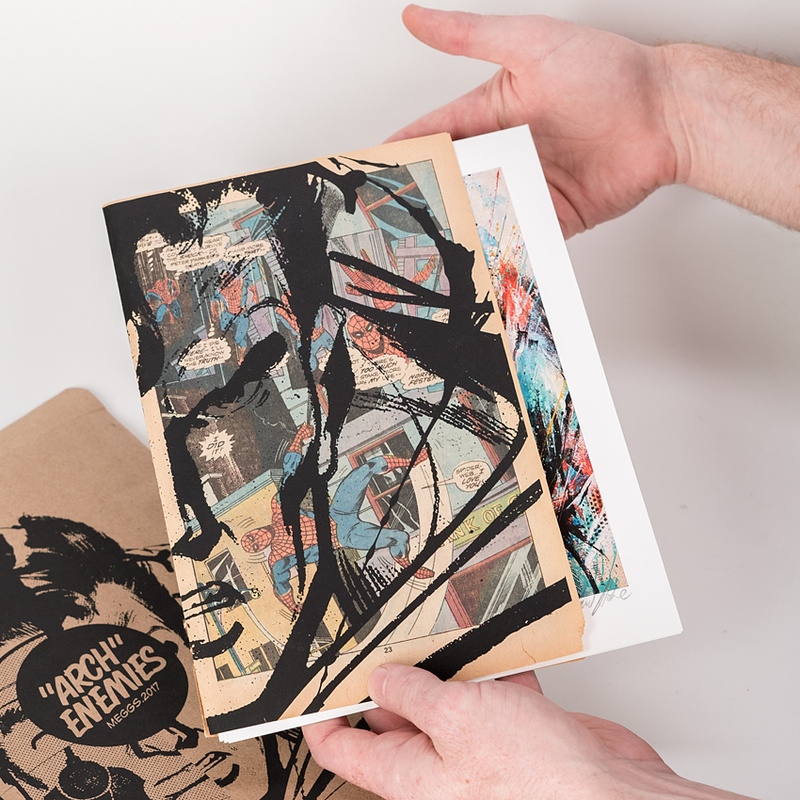 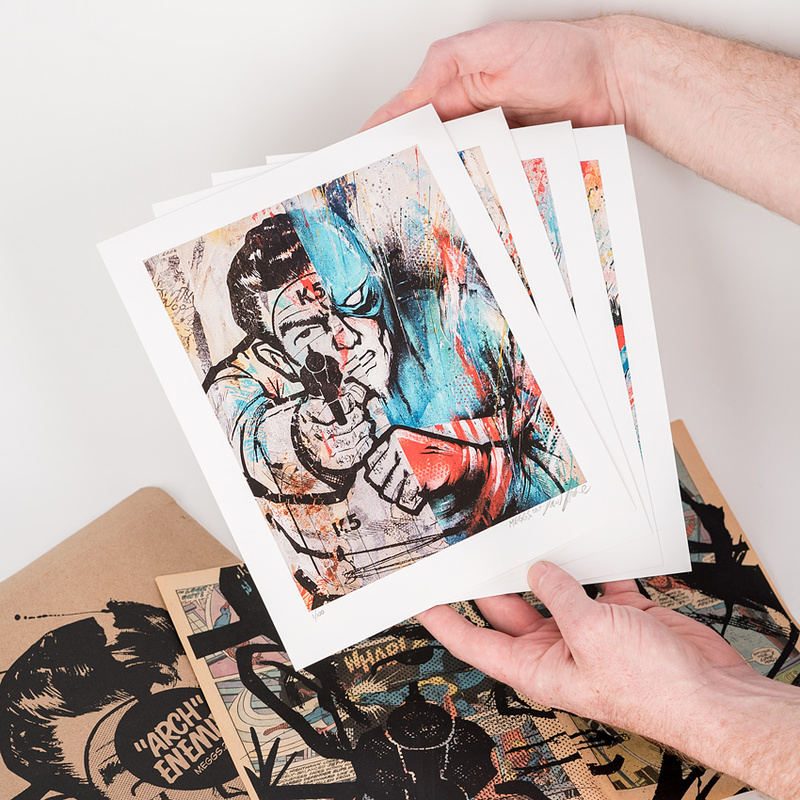 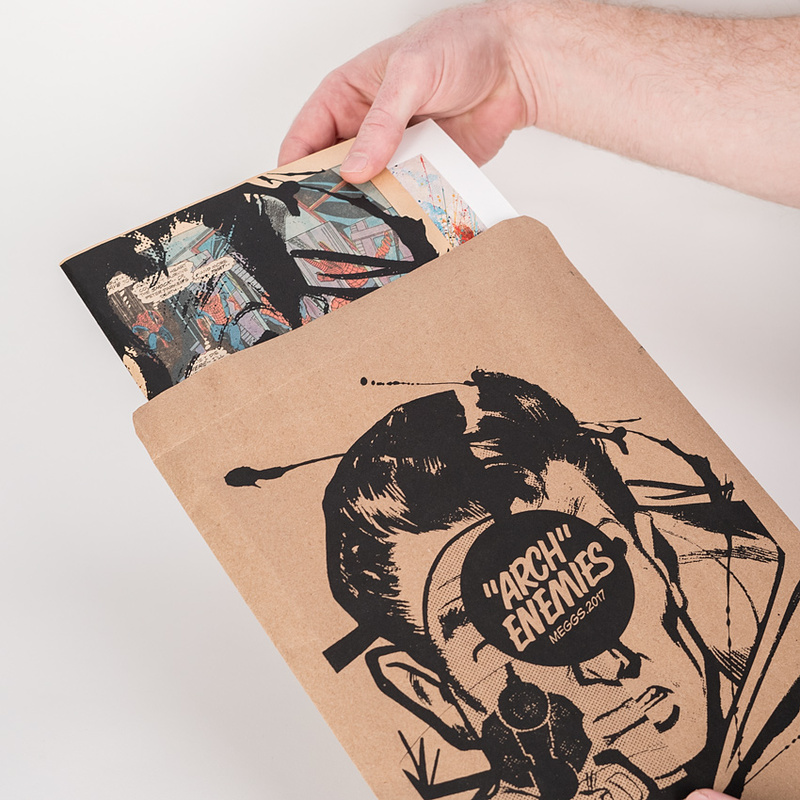 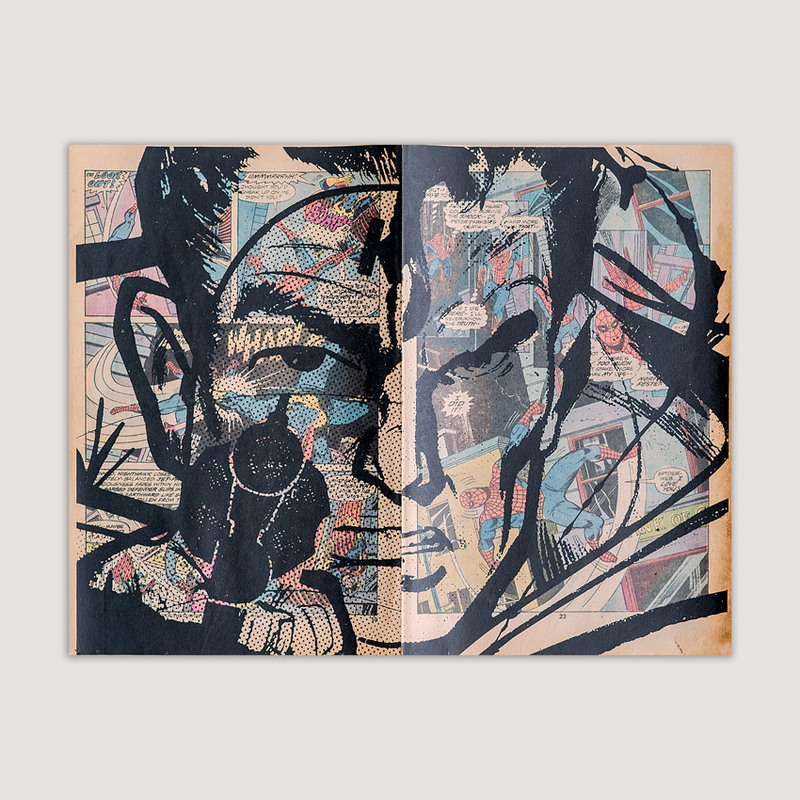 The four prints are packaged within a screen printed, authentic 1970’s ‘bronze-era’ comic book spread and packaged in an Arch Enemies series brown paper envelope, reminiscent of the paper bags comic shops used to use. 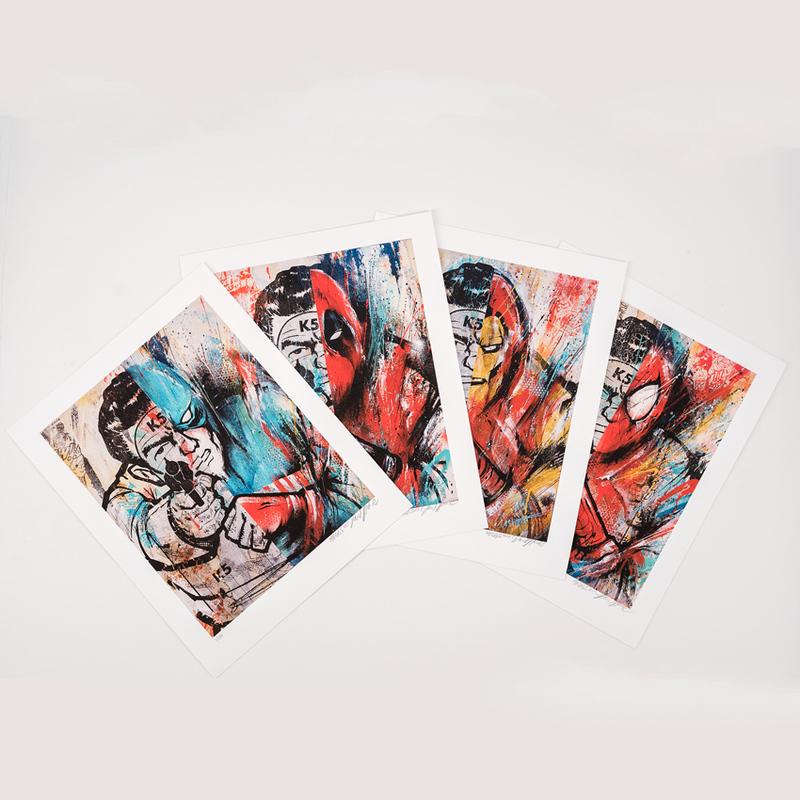 These four prints are based on four original pieces, painted on wood-mounted original target posters and exhibited with Inner State Gallery at the 2015 NYC Scope Art Fair. 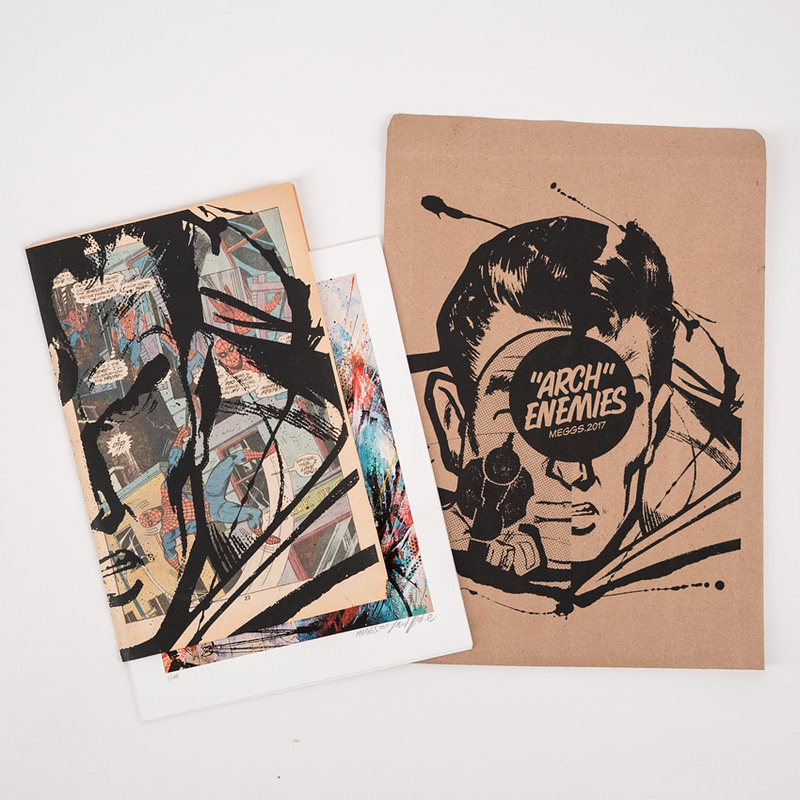 ‘Arch Enemies’ is part of MEGGS’ ongoing #reclaimedyouth series which, with his signature theme of duality, explores his nostalgia of pop-culture cartoons, music, comic books, and sci-fi / adventure movies from his childhood.